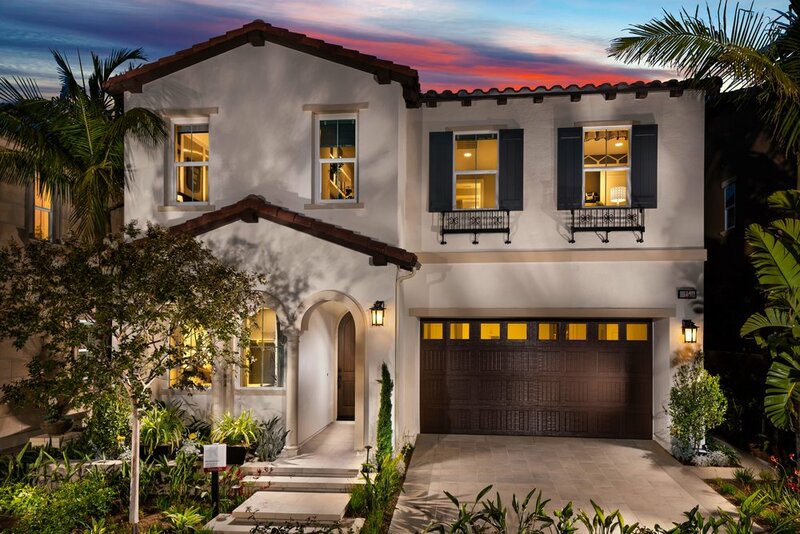 Terraces at Baker Ranch — LandCreativeInc. 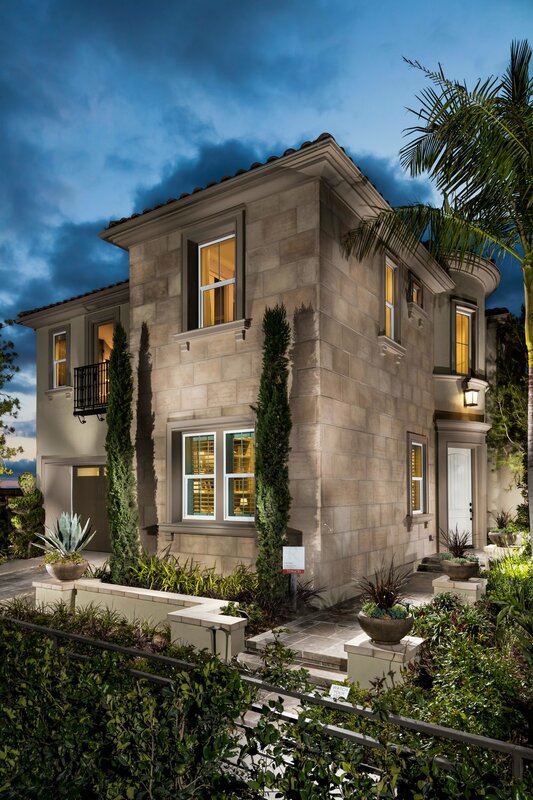 As part of the Baker Ranch Community in Lake Forest, this model complex, with homes sizes ranging from 2,300-2,600 s.f., consists of three unique small gardens which take advantage of the far-reaching views across North Orange County, and are designed to maximize the indoor-outdoor living experience. Plan 1 includes a zero-edge pool with a large-scale water wall, a unique water-dining table, multiple fountains and an outdoor loggia fireplace. Plan 2 features a modern outdoor gourmet kitchen covered by a canvas shade trellis, complete with pizza oven, adjacent to a sunken lounging area edged with an intriguing outdoor media and water feature wall. Plan 3 includes a raised weir infinity-edge pool and spa with a sun lounging platform with cushions and pillows.